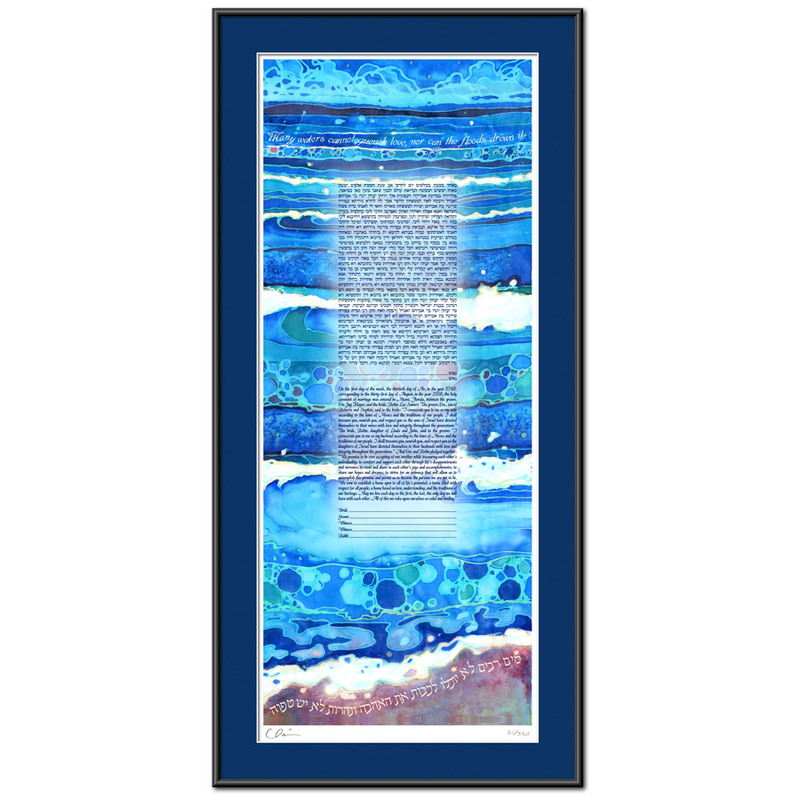 ketubah4less : 10.5" x 26"
Standard : 12.5" x 31"
The ocean can symbolize many things, but lately, in my painting, I've been reflecting on its beauty, depth and consistency. coming into our sight from great hidden depths. Claire began working with MP Artworks at the Florida Studio in 2001. Encouraged by the work of the other artists and the art of ketubah making, she then began to explore and connect her Jewish heritage to her painting. This season breathed fresh air into her work and she soon began to display her paintings with MP Artworks. She is delighted at the privilege of sharing her work with couples as a celebration of their marriage and of Jewish culture. Claire graduated from the University of Hawai'i in 1997, earning a BFA in painting with High Honors. Her works have appeared in exhibits throughout the U.S. and Canada. She currently works as a painter and graphic designer and resides in Halifax, Nova Scotia with her husband, Ian. Note: You will be provided a link to the personalization form specific to your text after you checkout. How does MP Artworks personalize texts? Personalization options for specific texts. View a typical personalization form. View examples of all customization options. 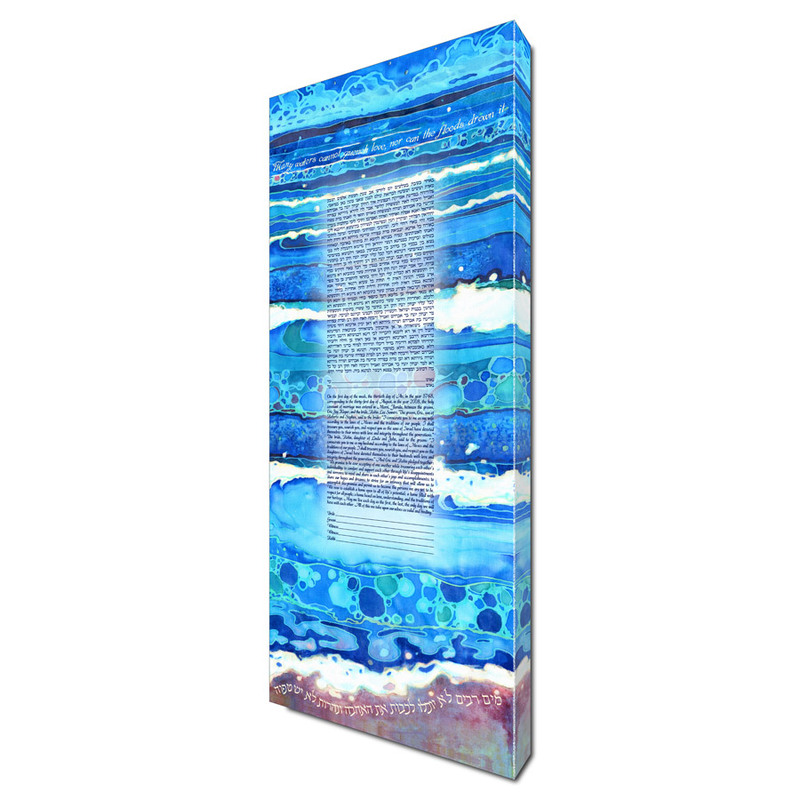 You will choose your customization options after you add your ketubah to your cart. How should we choose our text? Can we have a custom text? Yes! How will the text look? How will the design look with our text? 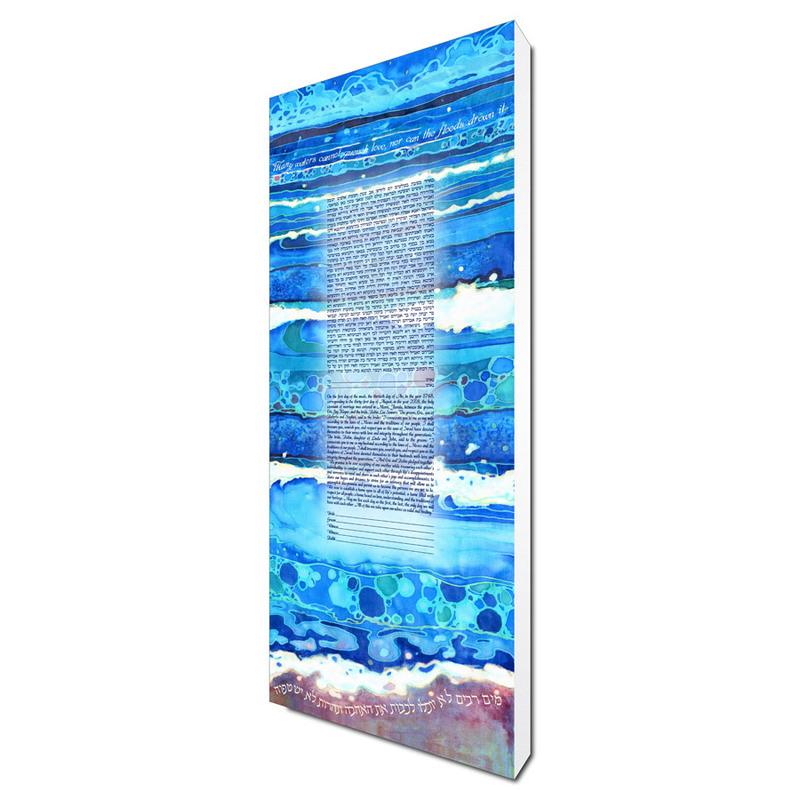 Canvas ketubahs and custom texts must be personalized. 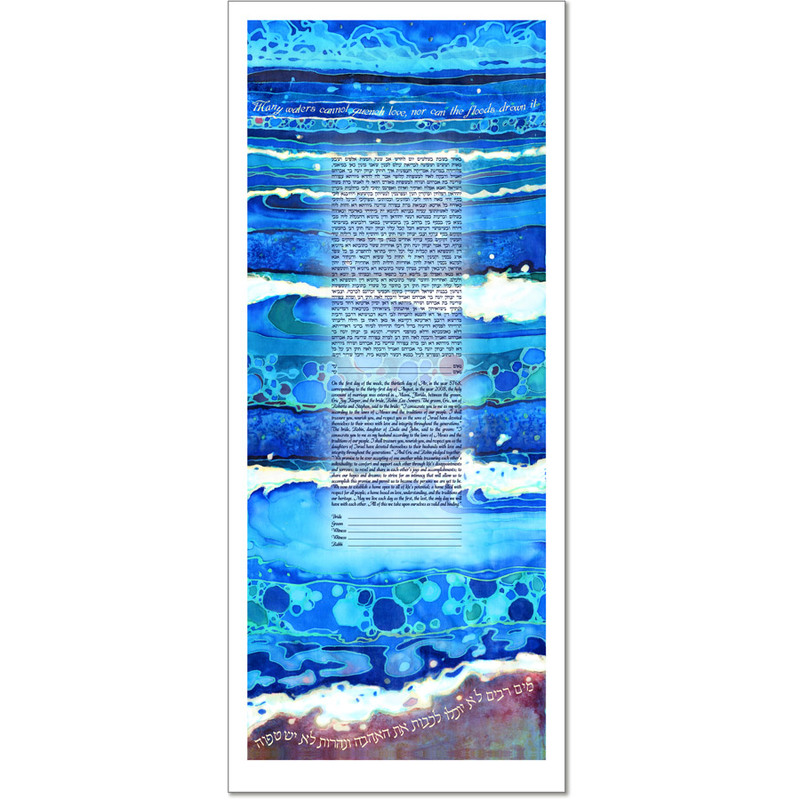 Customization and accessories can be chosen after you add your ketubah to your cart. Add 2 weeks for canvas and 4 weeks for papercuts. Need it faster? Click here. Not sure if this design is right for you? Order a sample print. Price of first sample reimbursed with ketubah purchase. Additional samples of other designs only $10. Learn more..